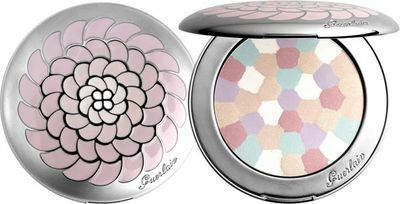 The Guerlain Spring 2010 Makeup Collection, Cherry Blossom, takes it's inspiration from traditions of the Far East. 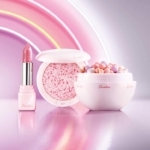 Glistening pinks and luminous colours make up this gorgeous spring makeup collection. 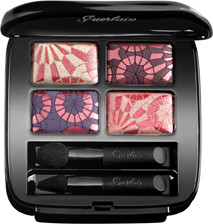 Blush Eclat in Cherry Blossom, $49 and the Eye Shadow Palette in Jeu D'Ombrelles, $59 are patterned after the beautiful umbrellas treasured in Asian cultures. The photos simply can't capture the iridescence and brilliant color of these compacts; they're exquisite. 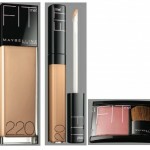 Once you apply a brush to the product, the finish does come off, but that's a good thing. If it didn't, I'd never want to use the makeup! Meteorites Voyage Exceptional Face Powder is now part of the permanent collection. 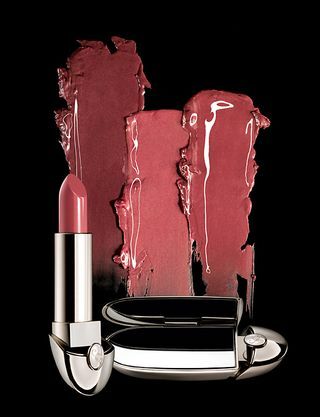 Meteorites offers a flawless finish to your makeup. 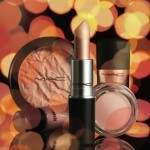 Now in a new compact and re-formulated, $170. I don't have the Meteorites Face Powder compact, but I'm sure it performs equally as well as the Meteorites beads that I use. 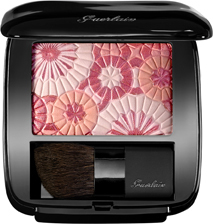 The different colors of powder have different effects: the pink tones add warmth, the green tones correct redness in the skin, white and yellow illuminate and highlight, while purple brightens. 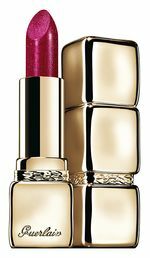 Rouge G de Guerlain Le Brilliant is a new, lighter version of Rouge G lipstick. This new formula offers perfect shine for a natural lip finish. In ten brilliant shades, $46. KissKiss Strass is a new lightweight, high-shine lipstick. "Strass" means rhinestone and the formula gives the multi-shimmering radiance of a jewel. Available in 10 shades, $31.